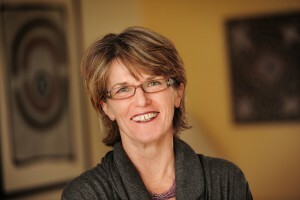 Leonie Huddy is a Professor of Political Science at the State University of New York at Stony Brook. She studies political behavior in the United States and elsewhere through the lens of intergroup relations, with a special focus on gender, race, and ethnic relations. Her recent work extends that focus to the study of partisan identities in the United States and Western Europe. She is the co-editor (with David O. Sears and Jack Levy) of the 2nd edition of the Oxford Handbook of Political Psychology, served as co-editor of the journal Political Psychology from 2005 till 2010, is past-president of the International Society of Political Psychology (ISPP), serves on the American National Election Studies Board of Overseers, appears regularly on CSB Radio as an exit poll analyst, and serves on numerous editorial boards in political science. Huddy has written extensively on social and political identities, emotions, reactions to terrorism, gender and politics, and race relations. She is the co-author (with Stanley Feldman and George Marcus) of Going to War in Iraq: When Citizens and the Press Matter, published by the University of Chicago Press, which examines news coverage and public opinion in the lead-up to the Iraq War. My Researchgate and Academia.edu profile.